What an excellent book - or should I say books as this is a 2 for 1 brilliantly joined together with remarkable insight into human nature. I loved the different characters and how Hel interacted with each one. There were times I wanted to shake Hel other times to hug her. Would she sort herself out? How real was her book to her compared to ‘normal’ life? How would things turn out for Jack and Annie? This must be read to find the answers and learn all about Hel’s heroes. A truly non-put-downable book. I loved it. Very well worth 5 stars. 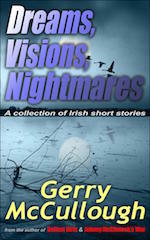 This is another book by Gerry Mccullough that I really liked. Purchasing Hel’s Heroes means you actually get two books for the price of one. The protagonist Helen McFadden is a historical romance writer, who has recently lost her parents, to whom she was very close. While you follow Hel’s not too smooth return to society, you also follow the Regency story Hel is writing about the orphan Annette. The fictional story and Hel’s own journey through the bars and restaurants of Belfast with a number of (male) friends in tow, are cleverly woven together. Two heroines, in different eras, are both searching for Prince Charming and do they find them? If you want to know, you have to read Hel’s Heroes yourself. A light, delightful book. 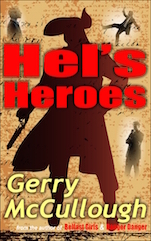 Gerry McCullough has penned a great read in Hel’s Heroes. Helen McFadden a writer of historical romance is a recluse. Her writing is a success but personal grief makes her consider that something is missing in her life, until on a night out with a friend, she encounters an old childhood friend, Pete. Will Hel find the long-lasting love she seeks in real life, out of the pages of her novel, or not? Gerry Mc Cullough is probably one of the best writers that I know and she never ceases to amaze me with the diversity of her writing. Helrsquo;s Heroes is two books within one. I found myself eager to read the updates of the historical Annie and Jack and then seamlessly following on with the life of writer Helen Mc Fadden. On a rare night out with her friend Sandy, Helen (Hel) meets a man that she is completely smitten with, but is he the right one for her? There are other men of course. Pete for instance an old school friend who lectures her on the error of her ways. Hel has choices but can they live up to her romantic, historical, fictional characters she writes about. Gerry McCullough has won many prizes for her writing over the years and Irsquo;m yet to be bored with anything that comes from her pen which I feel is dipped in liquid gold. Would I recommend this book? Yes definitely because you can enjoy the inner story of historical romance as much as the exploits of Hel as she tries to find her perfect man. 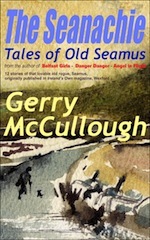 Gerry McCullough has long been an author I admire, I have read each of her novels and have never been disappointed in any of them. This novel is no exception .. except that it is more than just a novel. This genre is one that I’ve not seen this author take on before. She has taken a huge step away from her usual comfort zone, and in doing so has done an exceptional piece of writing. This is a romance within a romance, and if that causes men to shy away from this work that would be their loss. For this is more than starry-eyed young love; this book is a journey into the heart and longings of one woman who lives her life in part via her character creation of Annie. The primary character Hel (Helen) is a successful author who has lived her life caring for others and grieves for the loss of her beloved parents, she is isolated although never really alone, she lives and loves through her characters in Regency Novels wherein the dashing Jack is her sublime idea of what a man should be. Really well written, and a great story! I thoroughly enjoyed it and would highly recommend it to anyone who enjoys a good book! After Helen "Hel" McFadden’s parents died she immersed herself in writing and is now a very successful romantic fiction author who keeps her pen name a secret. Hel is totally captivated by the eighteenth century and the romantic heroes she has created. 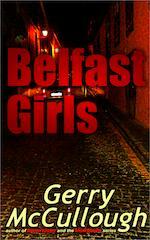 The trouble is they are obscuring her concept of romantic realities of life in Twenty-first century Belfast. On a night out with her friend, Sandy, and her boyfriend, Jimmy, Hel meets Paddy and Jason, as well as being reunited with Pete, a friend from school. A series of dates with both Jason and Paddy end in disaster. Egomaniac actor Jason is at the centre of his own universe and Paddy is over amorous to say the least. Hel has a lot to learn; including the fact that real men are nothing like the eighteenth century fictional heroes, whose actions and emotions she can control. 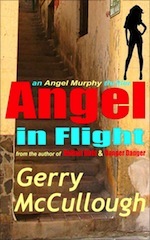 Gerry McCullough has written yet another winning novel. The way she blends Hel’s latest book and admiration of fictional heroes combined with the less than straightforward reality of Hel’s own life. Her characters are evocative and appealing, easy to relate to. Will Hel find true love with one of her latest crushes or has the romantic stability she craves actually been in the background all along? Twenty-five-year-old Helen McFadden is a historical romance writer and somewhat of a recluse. With the recent hardships she’s had with her parents, she hasn’t gotten out much, instead turning to writing, a gift that has made her a success. Still, something’s lacking in her life. Everything changes one night when Helen phones her friend Sandra for an evening out on the town, and Pete Montgomery, a childhood friend she barely remembers comes back into her life. The next several nights are littered with a myriad of men, all seeming to vie for Helen’s attention, but not all of them have her best interests at heart, something Helen must learn for herself. Caught up in a world of fiction, Helen must learn an important lesson, one that steers her life in the direction of real, lasting love. 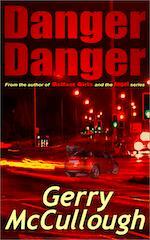 This novel by Irish author Gerry McCullough was something of a surprise. At first I supposed it to be chick-lit but I was wrong. Protagonist Helen McFadden is a historical romance writer and after the unfortunate demise of her two parents has become something of a recluse. The only bright light in her cupboard is that she is successful at what she does. In love with the heroes she creates she realises she is missing out in life, and it isn’t until her friend Sandy interferes that she discovers she’s missing out on a true love relationship herself. Enter Pete Montgomery, a childhood school friend she barely remembers but seems intent on staying around Helen (Hel) as she rediscovers her life. After being caught up in her world of fiction, Hel must learn the most important lesson – she mustn’t mix fantasy with real love. Running parallel to Hel’s own voyage of discovery, Hel writes the final chapters to her latest romantic novel, which takes place in another century. I enjoyed the parallels of the two women – similar and yet at the same time completely different. 'Hel's Heroes' by Gerry McCullough introduces us to Helen McFadden: her reality and her imagination, as shown through a series of extracts of her gripping, fast-paced work in progress. The structure of this novel demonstrated a concept that was new to me, and I found it worked exceedingly well as a way of comparing and contrasting the heroine’s life as a writer with the exciting times of her make-believe characters. Not surprisingly for someone with such a fertile mind, Helen likes to compare the guys she meets with her imaginary heroes. Not surprising, too, are the number of identical character traits of the author Helen and her creation Annie, who are each romantic and unworldly. Helen’s discovery of the power of dressing as a tool of attraction rings true, as does her other behaviour and attitudes. She is a likeable person who shows her vulnerabilities. ‘Hel’s Heroes’ is an entertaining book: a real page-turner that brings a smile to one’s face: highly recommended for those who are looking for something that is light, fun and highly readable. 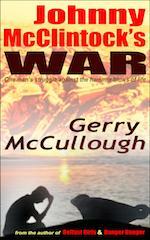 This book was a departure from Gerry McCullough’s usual genre. In this book she has written about romance, and it’s complexities. I loved this delightful story that takes place in Northern Ireland. Helen McFadden is a romance author who after some bumps in her personal life, determines to start dating again. And shouldn’t a romance author know all about romance? Wrong! Haven’t we all made at least one poor choice? Throughout the book Hel takes time to write chapters in her newest romantic novel, which takes place in another century. What I enjoyed best about Hel’s Heroes is the author’s ability to put us at Helen’s side. I felt as if I were pub-crawling in Ireland without the hangovers. Highly recommended. You get two books for the price of one, for as the heroine, Hel, starts to explore her own romantic life, she also writes her latest regency novel, which follows the adventures of Annie, and her swashbuckling dreamboat. Jack. The comparison between Helen, the author and Annie, the character is obvious..Annie and Hel are both true romantics with a naiveté, charm and total innocence. The circumstances over her parents illnesses, where Helen was their carer, followed by her writing career, has left her isolated like a long ago heroine in a Manor House ( Annie). The parallels are obvious, and Hel decides she wants a social life and boyfriends ... so she throws herself in head first! This introduction to social life leads to some hilarious scenes, I laughed out loud in places! However, Helen believes there is a romantic, handsome man out there, waiting for her. She lives the romantic idyll of her heroine Annie. 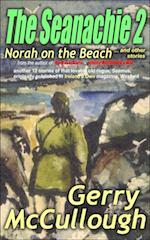 Gerry excels at portraying the personalities of her characters, especially the vulnerabilities of her heroines. This is an excellent book, with levels of emotion and life lessons,. It resounded deeply with me, the only problem being, I got no sleep, by staying awake to finish it! The heroes are good, bad and indifferent, with Hel unable to differentiate ... looking for the wrong attributes. 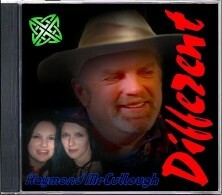 A fast paced, gripping tale of two romances ... and a woman's introduction to real life. The question is ... will she wake up and smell the coffee and discover the reality of mature love? Or will she retreat into the fantasy heroes of her books? Read this to find out! I really enjoyed this one. It was a delightful read. Hel is an author that is fighting her own battles trying to find the her perfect match, and the story line also follows the heroine Annie in the current book that she is writing. Gerry did a wonderful job of telling both stories that kept me reading to see what was going to happen to both Hel and Annie. 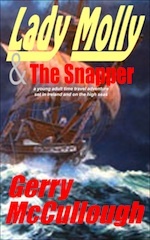 I have thoroughly enjoyed the other books by Gerry that I have read, and this one was no exception. Helen or Hel for short is a successful writer, but decides to take time out, from her writing. She wants to live life to the full and it’s not long before men are at her side, but is she being realistic in her thinking that she will find a man like the heroes she writes about. 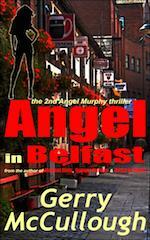 This is an easy to read novel from the very talented Gerry McCullough.